I was at Emory & Henry College for most of the first term before a job notice caught my attention. It was asking for someone to serve as a music leader and accompanist in a little Presbyterian Church in Glade Spring, Virginia. Being without a vehicle, I talked a buddy of mine into co-applying. I would play the instruments and he could direct the choir. We’d ride together in his truck, the “Stump-Jumper.” We proposed this to the church’s selection committee and they thought about it and agreed. Soon we found ourselves driving to Glade Spring every Sunday and Wednesday to lead this little church’s music program. The major benefactor in the church who was more or less guaranteeing our salaries ($30 a week each), was a physician who was trying to build this church up. So he invited a lady who had two granddaughters into the choir. The fact that she and her grandchildren were African-American did not phase him, but the choir members initially had some concerns about that, saying things like “they have their own church,” and “we like things as they were.” With some insistence on our parts that they should be a little more generous, they accepted this lady and her grandchildren and we had a strong alto section. As we got to know this lady, we were invited to singings that the black community in Glade Spring were sponsoring. Several churches were involved, sometimes tiny congregations, but they worked together with utmost ease. Plum Creek Baptist, Mt. Calvary United Holy Church, a church or two from Marion and Chilhowie, and another baptist church in Glade. But the church that interested me most was Ebenezer. It was located on the hill right behind Grace Presbyterian, where we were working, and was the home church of the three new members of our choir. Singings in these churches often gave each group an opportunity to sing an “A” and “B” selection (two songs), and more than often, the members of the different churches helped each other out, and sang in lots of the groups. We were always included, and I’d play for my buddy Scott to sing, or we’d bring our little choir over once in a while. Maybe a preacher or two would get up and bring “greetings” or even preach. I remember Brother Jasper Burrell, E. H. Cole, Rev. Timmons, and others. Sometimes people who had gone off to other places would return to praise the Lord among the people of Glade. 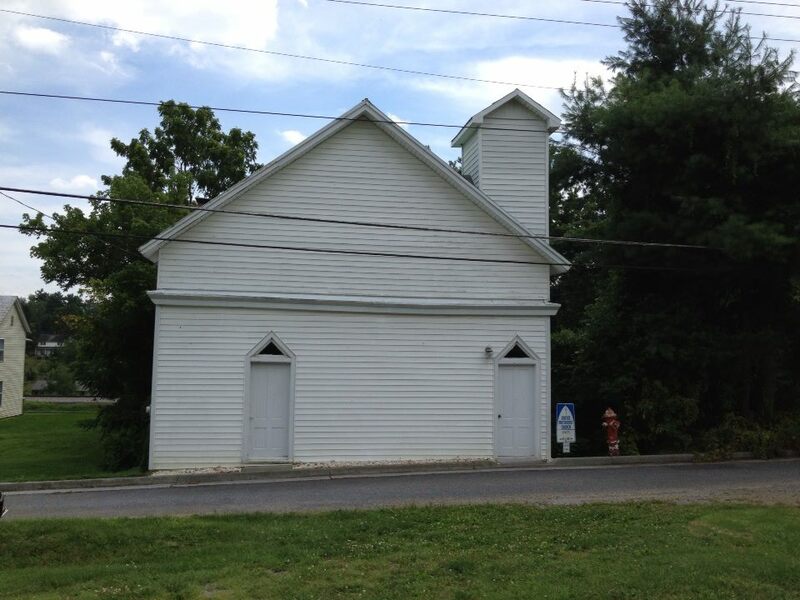 Ebenezer had a history like many churches of its kind in the area. After Emmancipation churches segregated. The freedom offered to former slaves gave them freedom to form their own congregations, and denominations were created, and missionary societies helped them form churches all over the south. So in the 1870s many congregations were formed, affiliated with either all-black denominations or the Methodist Episcopal Church, which was the “northern” branch of Methodism at that time. These congregations had feeble strength in terms of capital, but managed to build adequate structures for worship. Ebenezer’s building was a simple wooden structure, heated at one time with wood stoves, and lined with bead board on the interior walls. It had two entrance doors, as many churches of that era had, ostensibly so females could go in one and males in the other, though it is unclear if they were used in this manner. A large, free-standing pulpit was set on a little low platform in the center of the front of the church, and a large upright piano with an old antique stool was on one side, a couple very simple pews lined the back of the platform, and a little rail gave a place to support your upper body when kneeling in prayer. Otherwise the church’s hand-made pews filled the rest of the house. Electric lights were added at some point and the windows were built with translucent glass, I’m thinking it was a light shade of purple, although my memory is failing me a bit. But, O, what sound would rise when the people gathered and started singing. Those plainly dressed walls and bare wood floors were perfect to grant the acoustics to live singing. Full-throated voices, and hand-clapping, sometimes rhythmic foot-stomping, would rock that house. In my student days, Ebenezer had about 8 members on roll. It was affiliated with a little African American church in Abingdon, Virginia, sharing a pastor with them, and helping each other in special services. 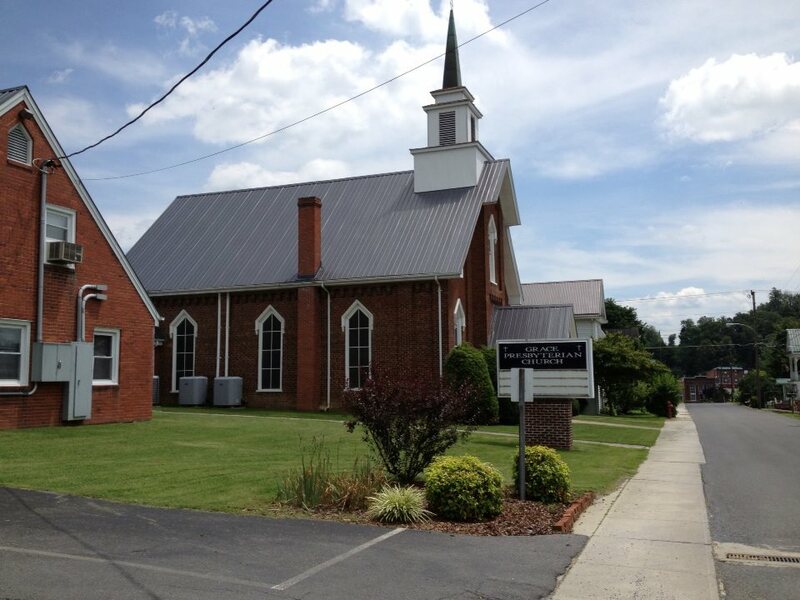 On the Sunday closest to April 11, 1984, I preached my very first sermon in the little Ebenezer Church. The congregation swelled to 21 that day. I finished preaching in about five minutes. My 8 pages of hand-written notes, single spaced, and on legal sized paper, front and back, just failed to go far. The congregation’s encouragement should have been enough to keep me going, but I choked. I’ve been making up for it ever since. In 1972 the United Methodist Church integrated, and congregations like Ebenezer became part of what were once white-only conferences. Their members and leaders were invited to participate fully in the life of the denomination. Right now! Oh, right now! And started me on my way!